Maybe it's because I live just a few miles from the village were the story take place, and I know how things work out in this area in Sweden. The movie tells the truth, believe me! It both criticizes and honors the lifestyle of Dalarna, and the producer wants people who watch the movie to be more opened minded and care more for your closest friends and relatives. 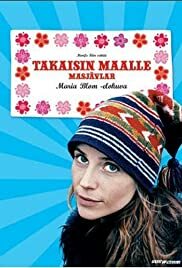 But if you live in another small village anywhere in Sweden (or another country) you will probably also recognize much from this movie.